State House Majority Leader Dave Reed told Patriot-News/Pennlive.com Editorial Page Editor John Micek last week that the next few weeks will be critical in the ongoing state budget negotiations. Leader Reed said there is bipartisan support for more funding for education and a lot of interest in property tax relief. But there isn’t agreement yet on how these should be achieved. "We want to fix the structural deficit. The Associated Press reported that Gov. Wolf is trying a new strategy as the state budget impasse extended into its ninth week – negotiating in private meetings with top Republican leaders instead of in brief but large gatherings with dozens of legislators and their staff. On Sept. 1, Gov. Wolf met at his official residence with Senate Majority Leader Jake Corman and House Majority Leader Dave Reed. Act 1 may not be perfect, but it has slowed the growth of school property taxes. Since the passage of Act 1 in 2006, and its revision in 2011, the growth of school property taxes has moderated in Pennsylvania. A newly revised forecast from the Pennsylvania Independent Fiscal Office (IFO) shows more modest growth in coming years. It’s finally law! Philadelphia can now raise its own local cigarette tax by $2 per pack to fund its own schools and prevent further teacher losses and cuts in the classrooms. Gov. Corbett signed the bill authorizing the increase today, after the state Senate passed it by a 39-11 vote last night, and the state House of Representatives approved it by a 114-84 vote on Monday. 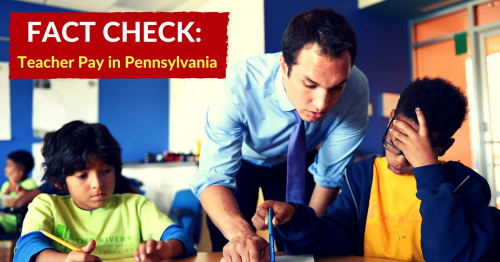 Last week petitioners in Pennsylvania's school funding lawsuit filed a brief and affidavits refuting the claim made by the Republican leader of the PA Senate, Joe Scarnati, that the lawsuit was rendered moot because the state adopted a school funding formula in 2016. The brief details how state funding increases have not kept pace with rising mandated costs, including pension expenses. 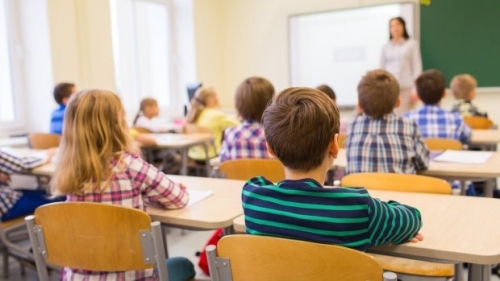 Because of this, aggregate state funding available to school districts for classroom costs have effectively decreased by $155.3 million since 2013. 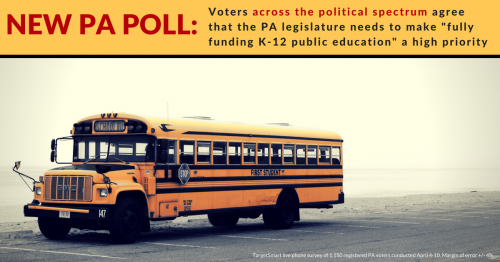 As the PA General Assembly considers Governor Wolf’s request for new spending on K-12 education in the budget for 2018-2019, the Pennsylvania Budget and Policy Center has released new polling that shows that Pennsylvanians strongly support more funding for K-12 education. In fact, education was second only to taxes as the issue that poll respondents view as most critical for the Legislature to address. Governor Wolf’s proposed education budget finally restores K-12 classroom funding cuts (in nominal dollars) from the Corbett years, but Pennsylvania still has a long way to go to reach funding equity and adequacy. Governor Wolf’s Executive Budget for 2018-19 proposes increases in K-12 education for the fourth year in a row. His proposal this year, if accepted, reaches an important milestone—the disastrous cuts to education instituted under Tom Corbett will be restored. 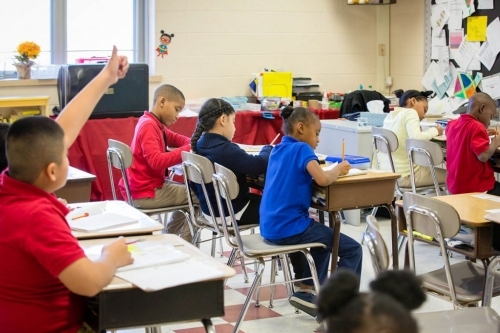 A new “big-data” base on U.S. school districts provides new evidence that Pennsylvania has many high-performing schools but many lower-income rural and urban districts that perform less well. A likely culprit: Pennsylvania’s inadequate state funding for schools. Low state school funding leaves moderate- and lower-income districts poorly funded and with less in total funding than affluent districts, even though the lower-income districts serve students with higher rates of poverty, non-English speaking families, and other challenges that hold back achievement. Third and State is a joint blog of the Keystone Research Center and Pennsylvania Budget & Policy Center providing a progressive view of the state economy, budget and other policy matters.